Spanish author; flourished in the eleventh century. Nothing is known of his life except that he embraced Christianity in 1094 and filled the position of "official" under the famous hero Cid Campeador (Rodrigo, or Ruy Diaz de Vivar), who died at Valencia in 1099. 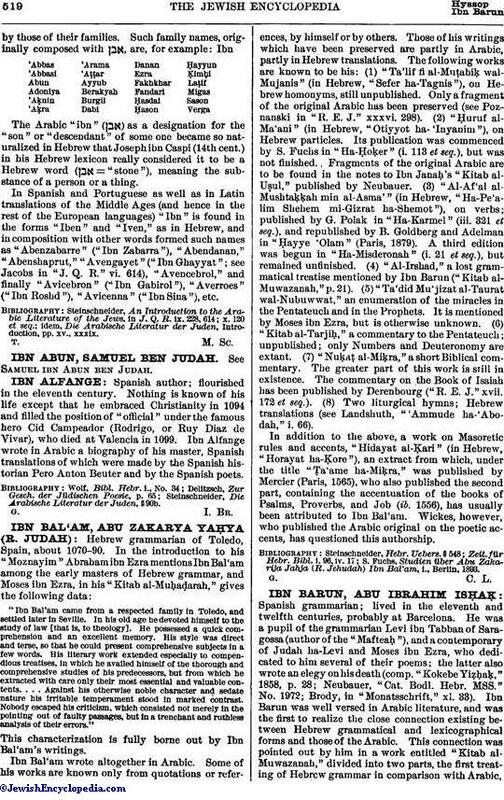 Ibn Alfange wrote in Arabic a biography of his master, Spanish translations of which were made by the Spanish historian Pero Anton Beuter and by the Spanish poets. Steinschneider, Die Arabische Literatur der Juden, § 90b.